SAINT PETER, Minn. – The Gustavus men’s basketball will host Saint Mary’s on Saturday afternoon for a MIAC contest with the tipoff at 3 p.m. The Gusties enter the contest 3-4 overall while the Cardinals are 4-3. Both teams enter the contest with 1-2 marks in MIAC play. 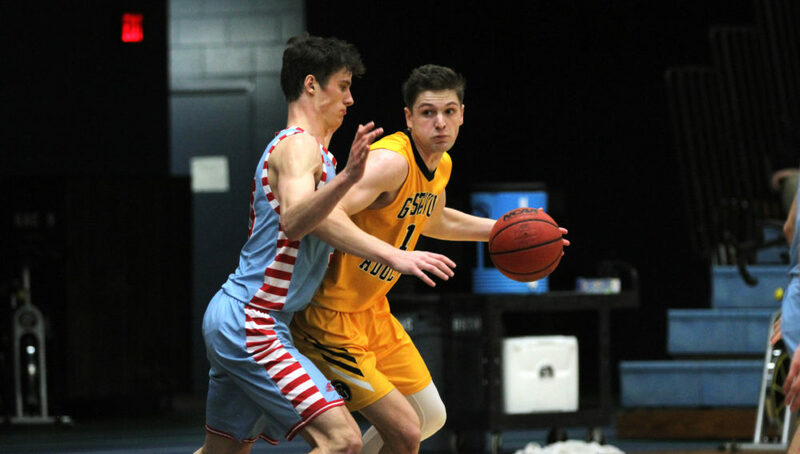 Saturday’s game marks the 174th meeting between Gustavus and Saint Mary’s on the hardwood, with the Gusties holding a 123-50 advantage in the all-time series. Since the Lund Center has opened in 1984 the Gusties hold a 34-0 record versus the Cardinals in Saint Peter. On Wednesday the Cardinals achieved its first MIAC victory in over two years when they defeated Concordia 71-64. They were led by Eli Cave and David Lindstrand who each notched 19 points, while Cave also recorded 11 rebounds for a double-double. It was his third double-double of the young season, as he is averging 20.9 points per game to go along with 8.3 rebounds. As a team, the Cardinals have used stifling defense and length all over the floor to make it tough on opponents, holding teams to a mere 25 percent shooting from behind the three point line, which is tops in the MIAC by over five percent. Gustavus is coming off their first MIAC win of the season, defeating Macalester 87-50 on Wednesday and helping coach Mark Hanson record his 500th career win as head coach of the Gusties. They were led offensively by first-year Nolan Malo (Fy., Owatonna, Minn.) who posted 23 points on 10-12 shooting. CJ Woda (So., Maple Grove, Minn.) had a solid outing as he notched 14 points to go along with a team-leading six rebounds in the game. Riley Sharbono (Sr., Marshall, Minn.) and Vannis Smith (Jr., Crystal Lake, Ill.) also each reached double figures scoring 10 points apiece. On the season Sharbono leads the team averaging 14.1 points per game while Malo is averages 9.6 points and a team-best 4.9 rebounds.